With the continuous development of technology, the world really seems to be shrinking. And with such drastic change in technology, specifically in means of communicating, social media has quickly gained popularity. Your grandmother, your childhood sweetheart, your neighbor’s newborn child, and even your dog, really everybody could have a social media account. Several businesses and organizations use this opportunity to reach a larger audience to promote their products and services. It has become so easy to spread information on social media, but monitoring different platforms every hour to see how far one has reached, to reply to messages, and to promote more content, has become a daunting task. But fear not! If you find logging into multiple pages just to promote and manage your content a handful, there are a bunch of social media scheduling tools online that could save you from all the scheduling distress. If you are already familiar to social media scheduling, then you probably have heard of and tried established platforms like Hootsuite and Buffer. 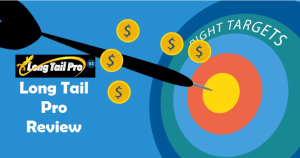 And if your business does not really prioritize online promotion, then you are also probably looking for a Hootsuite Alternative or a Buffer Alternative. Consider this a lucky day because today you will be introduced to a new social media scheduling tool called Social Aider. Social Aider is a social media scheduling tool. It helps you manage your social media accounts from different social media platforms using a single dashboard. It enables you to get your content ready in advance and then just schedule when the content for each social media platform will be posted. 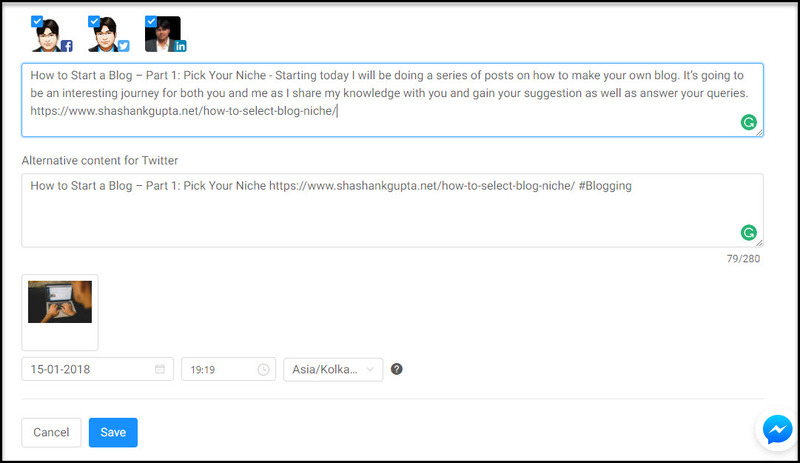 You can even line up a month’s worth of content, and get real time notifications about your posts (i.e., if they cannot post your content to the specified platform). Now the question is, is this tool really for you? Find out in this Social Aider review, where we will walk through Social Aider’s features, pricing, and of course test the services, to have a feel of what it is like to be using this social media scheduling tool. At the homepage, you will be greeted by an animated video depicting the importance and practicality of Social Aider's USP: Linking unlimited to social media accounts/ projects at no extra cost! (We'll get to this later). Right below the video is a link that leads you to the pricing of the tool followed by depicting the social media accounts the tool supports. What follows are the three overall services that Social Aider provides: Scheduling, Automation and Content Curation along with their small descriptions. There are also testimonials and reviews of how Social Aider has helped other users manage their social media accounts. At the end, the latest posts from the Social Aider blog are featured. Let’s take a look at the features of Social Aider and the plans that it has to offer. Looking at this table, we can safely conclude that Social Aider is one of the most affordable social media scheduling tools. It is consistent in its features in both its plans! Its plans vary only with the number of posts allowed. Everything else remains the same, which personally, I really appreciate! Also, they also have an option to provide custom plans for you which are customized especially to suit your unique requirements. Now, let us calculate how effective are the Personal ($4.99 / Month) or Professional ($11.85 / Month ) plans in terms of the number of posts they allow? Well, the biggest factor here is how active you are with your social media activities. For a Personal subscription, you get 300 posts per month, and for Professional subscription, you get 1000 posts per month. That allows around 10 posts daily, which is not very bad for promoting content. Will this pricing justify Social Aider for being a Hootsuite Alternative and Buffer Alternative? In case you finished your 300 posts before the month end, you can renew the same plan again. Social Aider charges you on the basis of the number of posts, so you can buy as many posts as you need. 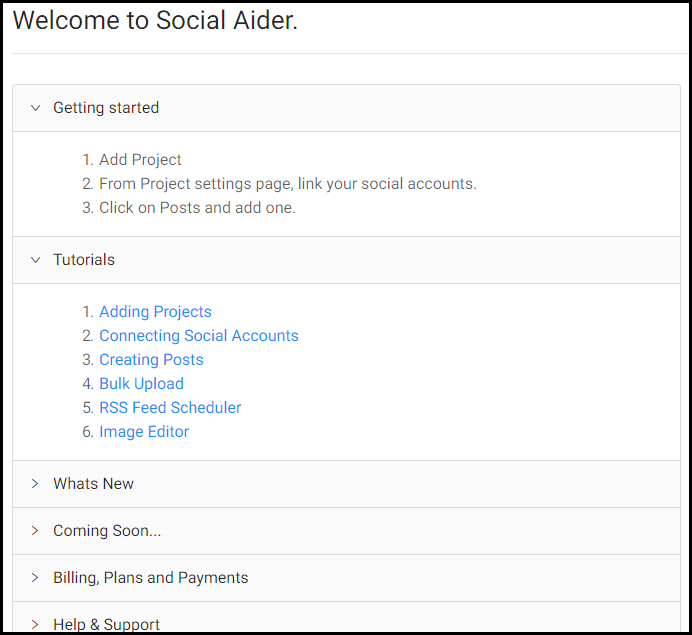 With Social Aider, you can manage an unlimited number of projects and an unlimited number of social media accounts using any of the two types of subscription. This feature is not offered by even more established scheduling tools. However, if an unlimited number of posts is to be added to this equation, it easily equates to disaster! A lot of spam, heavy network traffic, and possibly system crashes. So if you need more posts, and are willing to pay extra, you can buy more credits from your Social Aider dashboard. Now let us talk about the other features. Aside from scheduling your posts to all your social media accounts, you also have the option to upload in bulk using their Excel template. We will look into these features later. Users can also duplicate and delete posts using Social Aider and also, you can convert your RSS feed to posts in just a click; no need for an external RSS reader. Another feature which i like is Video and Image Upload, you can not only share image content but also upload MP4 videos with your followers. 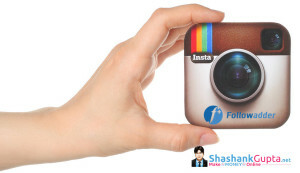 These are rather basic features that are needed for social media marketing. Let us now see how these features actually work on Social Aider. The welcome page has all the essentials to begin managing your social media accounts. There is a written Getting Started guide, and there are tutorials to help new users get a hold of Social Aider’s interface. Let us follow the Getting Started guide. The project tab will expand and display options for you to manage your selected project: Posts, Bulk Upload, RSS Feed, Discover, and Settings. Let us see the Settings first. 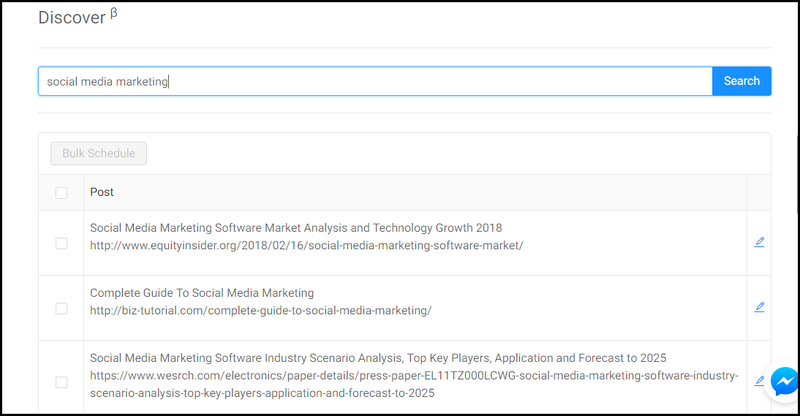 If you’re managing pages on Facebook or LinkedIn, Social Aider will have access to those pages too, which hopefully will make posting via Facebook pages a breeze. Now let us get to posting scheduled posts. By clicking ‘POSTS’ under your project name, you can set your selected social media accounts to post simultaneously at your preferred time. I decided to post a photo and caption to my Facebook, Twitter, Linkedin account. The image uploader is limited to uploading 2MB images only. Social Aider successfully posted this photo to my linked Facebook and Twitter accounts. You can also post videos using Social Aider. It’s also nice that they have a separate text box for Twitter, should your text exceed Twitter’s character limit. You also have the option to ‘cancel’ a scheduled post by deleting it before the selected schedule. The remaining post count will be reverted if this is done. In bulk uploading using Excel, the restriction is that the whole Excel file should not exceed 2MB, and the number of rows (posts) should not exceed 200. This is not bad since the images need to be uploaded and embedded, as in the template. Here is the template I downloaded from the Bulk Upload page and added my blog posts for uploading. The input formats are already indicated in the tabs, and you can schedule different posts separately, which is really useful for those who post more than once daily. However, you need to have the images uploaded to use the bulk uploader. 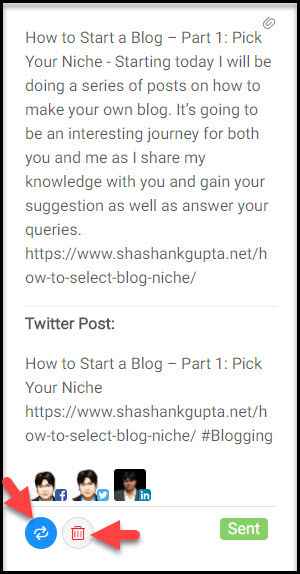 This is a really helpful feature, as all sites don't offer RSS hence you can extract those post and upload them using excel to share on social media, also you can post your own blog posts using bulk uploader with different #tags and timings. This feature is a part of content curation! Using relevant keywords, you can find the latest, top posts or even news articles. The best part is, you can edit these posts individually and schedule them or post them right away. But, on the other hand, you can also schedule all of them at once too! Social Aider, therefore, will never let you run out of ideas to keep your social accounts updated and flowing with relevant content. Just enter the right keyword and you can see the magic unfold right in front of your eyes. This feature is a God-send, believe me! Being able to edit and upload the images to social media on the same platform is so easy to manage. 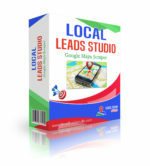 Moreover, this image editor has so many tools with which you can resize, crop, beautify your images. This feature lets you create amazing pictures that you can accompany your content with. It'll not only help you reach more audience, but will also attract people to read your content. A post on social media is incomplete without a compelling image and Social Aider's Image Editor lets you create just that! In the Sent tab on the Posts page, it was easy to duplicate a post by clicking the repost button. This is useful if you want to repost a post you made a few days ago via Social Aider. Deleting posts in multiple platforms also just takes a single click and it will delete your post from your social accounts where you posted it ( Linkedin doesn't support this feature hence you will have to delete the post manually from LinkedIn). I liked that everything you need to get started in using Social Aider is on the welcome page before you sign in, so you could really get a feel of the platform before deciding to use it. If it’s your first time using a social media scheduling tool, then you’ll probably throw away a few posts before getting used to the interface. But after those few trial posts, posting content on different social media platforms will definitely be easier and more efficient than logging into several accounts and then uploading content one by one. Social Aider takes a lot of getting used to, but it does exactly what it promised, and is really helpful especially to small start-up businesses and people with limited budget for online publicity and social media agencies who handle many clients as it offers unlimited projects hence no extra costing when you add new social accounts unlike others where you have to pay for linking every new social account. With this, I think Social Aider is a reasonable Hootsuite alternative and Buffer alternative, with a few tradeoffs of course. I only wish there were a feature where you could see how many people your post has reached and some more social analytics but, it should be noted that the pricing is way cheaper compared to other social media scheduling tools and that you can link unlimited accounts and projects with Social Aider. What's more? Social Aider has an affiliate program in place wherein for every sale you bring, they share 50% of those sales for one entire year of the user's stay! This is actually the cherry on the top! 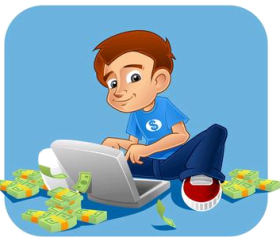 Hence go and take a advantage of Social Aider's affiliate program and post away using Social Aider!